The greenhouse effect is the warming of the Earth by trapped gas in the atmosphere. This effect is natural and part of what keeps the Earth warm enough to sustain life. Unfortunately, since the industrial revolution, mankind has been aiding in the greenhouse effect, producing greater amounts of these gases than what is naturally found in the Earth. This in turn contributes to global warming and climate change. Identifying the causes of this contribution can be the first step to reversing it. A variety of gases released in to the atmosphere are the cause of the greenhouse effect. Carbon dioxide: Also known as CO2, carbon dioxide has the biggest impact on the greenhouse effect. Methane: Methane is produced by the breaking down of organic material and is a byproduct of natural gas. It remains in the atmosphere for 9 to 15 years after being released. Nitrogen oxide: Nitrogen oxide is formed when fossil fuels and other materials are burned at high temperatures. Fluorinated gas: Fluorine is a byproduct of many goods used today including refrigerator coolants, fire extinguishers and aerosols. All of these elements are found in small amounts naturally in the Earth. The growing amounts in the atmosphere, however, are due to mankind. If not all of the greenhouse gases are from natural sources, where are they coming from? Natural Causes: Some of the elements that produce greenhouse gas are naturally present in the Earth. Carbon dioxide can be found in the ocean, while methane is produced by decaying vegetation. Nitrogen oxide is found in small amounts in soil and water. Fluorinated gases are the only ones that are not found in nature, but are produced solely by mankind. Water Vapor: Water vapor plays an important part in the greenhouse effect as well. Water vapor is able to absorb large amounts of thermal energy, particularly as the humidity in the air rises. This in turn increases the relative temperature in the atmosphere. Burning of Fossil Fuels: Burning of fossil fuels such as coal and oil is one of the biggest contributors to the greenhouse effect. When burned, fossil fuels give off carbon dioxide gas, which heads straight into the atmosphere. Burning these fuels is not the only way in which their use contributes to the effect; methane is released from within the Earth whenever coal mines, gas or oil wells are opened. The methane gas leaks out at a constant rate, further polluting the atmosphere. Deforestation: Trees help keep the atmospheric gases in check by lowering the natural amounts of carbon dioxide and producing oxygen. By clearing away large sections of trees, the carbon dioxide levels continue to rise. Farm Animals: Keeping large amounts of farm animals such as pigs, goats and cows also contributes. Methane is produced when organic material is broken down. When farm animals digest their food, methane is produced in their stomachs by the food's breakdown process. The methane is released into the atmosphere through their manure. By removing large sections of forest to expand farmland and raising farm animals instead, mankind further tips the balance by increasing the amount of methane in the atmosphere. Fertilizer: Artificial nitrogen is frequently used as a fertilizer for crops. Some of this nitrogen is released into the atmosphere as nitrogen oxide. Crops fertilized in other ways actually decrease the amount of nitrogen in the air by fertilizing themselves through nitrogen fixation. By fertilizing the crops with artificial nitrogen, this increases the levels of nitrogen oxide in the air twofold. Fluorine: Fluorine is used in many of the appliances, building materials and goods produced and used every day. These include things like plasma TVs and car coolants. Industrial Gases: Industrial gas is emptied into the atmosphere at high rates from factories around the world. Industrial gases often include carbon dioxide and methane, as well as large amounts of fluorine gases. Population Expansion: One of the more indirect causes of the greenhouse effect is the expansion of the Earth's population. As the population grows, more trees are cut down to form farmland, more farm animals are raised and more fossil fuels and industrial gases are burned all to keep up with the growing number of the Earth's inhabitants. Electrical Appliances: Most electrical appliances used give off Chlorofluorocarbon or CFC gases. These gases contain carbon, fluorine and unstable derivatives of methane. The more electrical appliances in use in a home, the bigger the contribution to greenhouse gases, both through the release of CFCs and through the production of electricity, which is made through the conversion of fossil fuels. 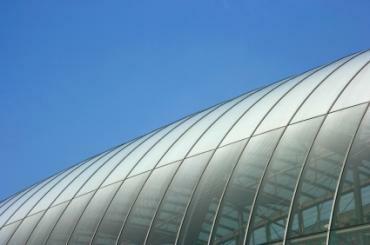 The first step anyone can take to prevent or reverse the overabundance of greenhouses gases is to identify the causes. Once this understanding has taken place, look around for ways to reduce your personal impact on the situation. While some greenhouse gases are necessary for survival on Earth, the overabundance of them may also be its destruction.